The confusing thing about learning scales on the guitar is unlike piano it’s set up in an illogical manner. 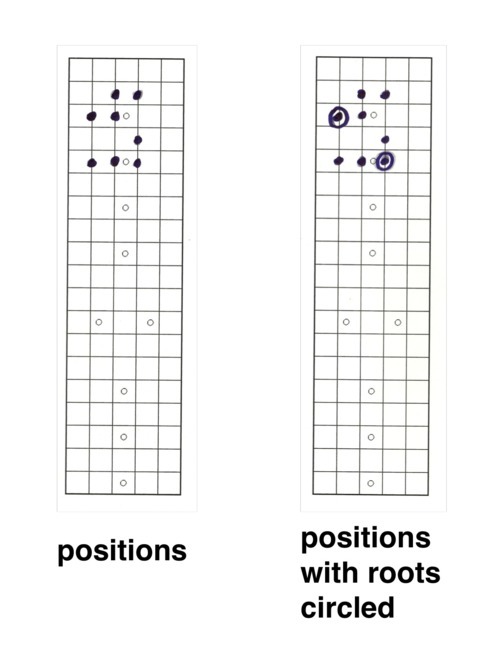 Often guitarists don’t learn scales starting from its tonic or root note. 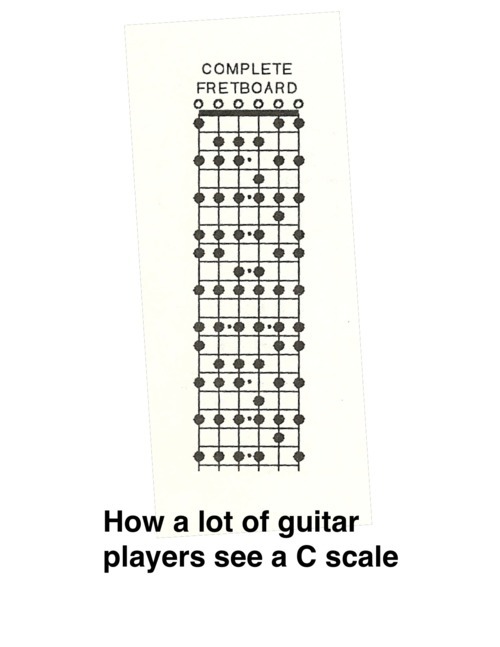 They learn them starting from the first available note within the scale. This makes things confusing because a lot of theory is based on basic scale foundation. This of course is requiring you have an understanding of it’s construction not just it’s various fingerings. In this lesson I’m going to strip down a C major scale to one octave. 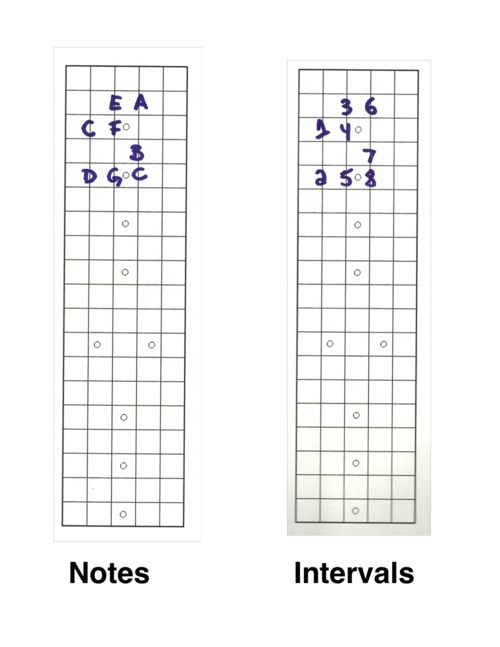 A lot of books approach scales by giving you every possible position a note can be played. When first trying to grab these concepts it’s way too much info. Just like finding those “questionable” photographs at your grandparents. Eeeew!!! While learning the scales I thinks it’s important to start from the root and end on the root. 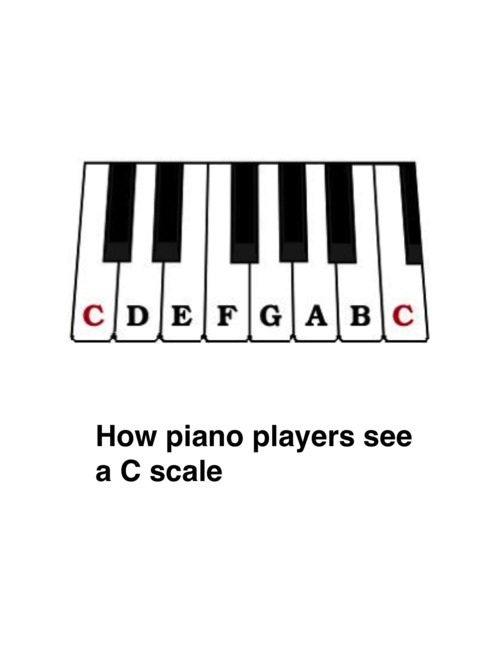 I also think it’s best to break down scales to their smallest configuration of one octave. It’s not just about muscle memory and shredding, function is of utmost importance. From this viewpoint we can really observe the way intervals and chords work. Putting speed before theory is like watching the series finale before the pilot. It’s like Kool with no Aid!! It’s like bologna having no first name! Many players learn scale “shapes” from books only to play them and wonder why they don’t sound good. Although playing any note in the C scale can work over a progression in the key of C, there are more finessed ways of improvising. I like to think of it as grocery shopping. You don’t buy everything at the store when you go do you? When you understand theory you’re able to make a better shopping list. 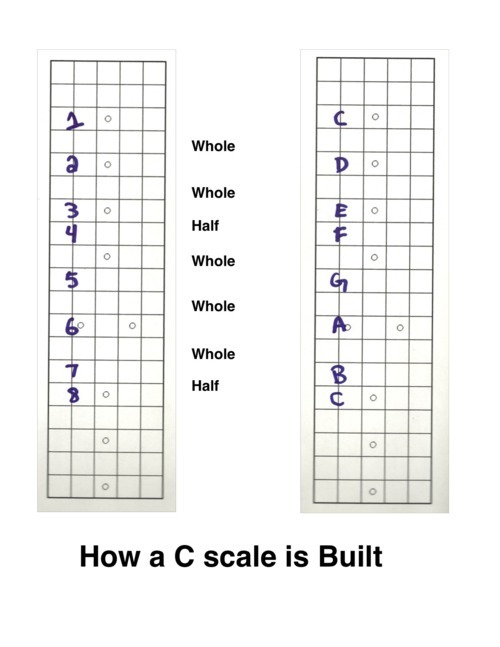 By learning scales this way it’s not going to be nearly as confusing, because you’re playing scales on their home turf.